Since 2006, Ideal Air Heating and Cooling is your best choice for repair, installation, and service in homes and buildings just like yours in the Johnson County Kansas. We take special pride in the craftsmen we train and employ--a fact you'll see in the reviews below. It's also noticeable immediately in the attitude and integrity our technicians bring to your job site. Our entire company works hard to make your experience with us hassle-free and enjoyable. You can also be assured that Ideal Air Heating and Cooling stands behind the work we do as well as complies with all local codes. This is why, as you can see by the map and reviews below, we are rated so highly for AC, Heat Pump, & Furnace Repair in Mission, KS. Call us today at 913.422.7373! Punctual, polite, get it done attitude! A/C stopped working and Sterling was able to identify the problem and quickly fixed. Perofrmed ac tune up on a York air conditioner. I replaced a limit switch on a York furnace. Replaced the primary limit switch on a York furnace. Replaced a Rheem inducer motor on a Furnace. Performed furnace tune up on 2008 Lennox. PM check on electrical and ignition systems, safety controls, flame sensor, service and test of humidifier. Also checked Expansion filter and dampers. Performed a Furnace check up on a York furnace. I vacuumed it out, I checked the temperature rise, I checked safety switches, and I replaced the 20x25x5 air bear filter. 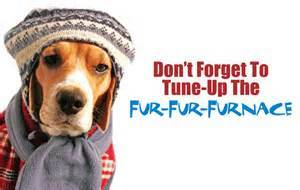 Diagnose faulty wireless thermostat and a leaking evaporator coil. Began maintenance plan and furnace tune up. Lennox furnace tune up Aprilaire humidifier service and water pad replacement. Air conditioner tune up on a Kenmore system. Also replaced the blower motor and a primary motor starter in the outdoor unit. Performed a comprehensive seasonal tune up and maintenance check on York air conditioner. Performed tune up on 2003 Lennox air-conditioner. Found failed to contact her and replaced. Locate and repair short caused by a mouse chewing through wiring. Test equipment operation. Test R22 refrigerant temperatures and pressures. Washed condensing unit. Performed repair on 2000 carrier air conditioner. Replaced dual voltage absorber. Performed air conditioner super tuneup. Tested equipment operation.